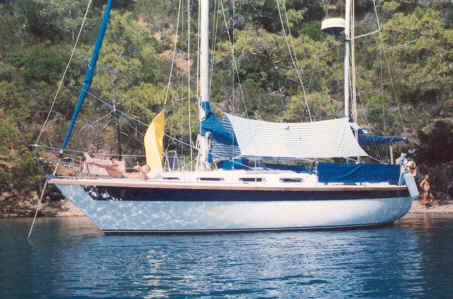 5 berths in 3 cabins in teak, Large aft cabin, Hot and cold water, fridge, cooker/oven and grill. Stereo. V.H.F. & H.F. Radios, Electrical anchor winch, Radar, Navtex, corus sailing inst. Fully equipped for extended cruising and had just returned from 10000 mile round trip when last used. Has now been sitting in Larnaca marina on the hard for a couple of years. She is filthy dirty and need a jolly good clean. She also needs a little TLC as no boat should be just left. 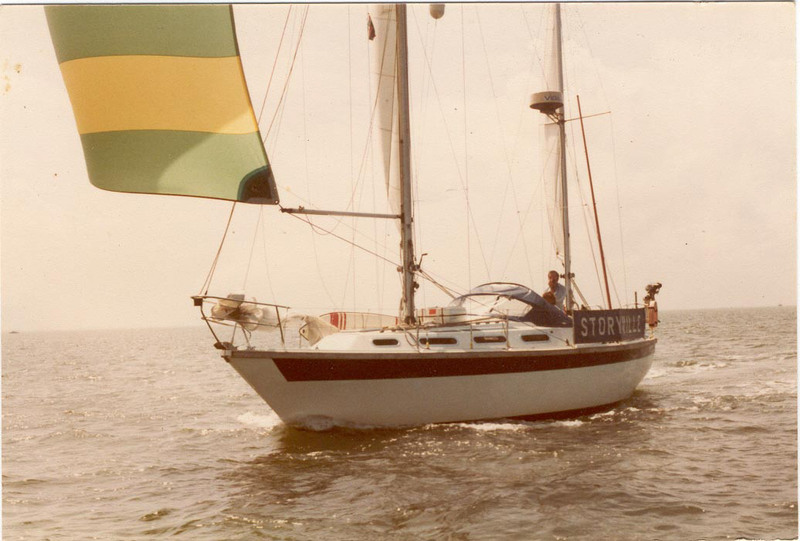 However she is a roomy boat and was set up for single handed sailing. Unfortunately having had this boat on our books for a long time, and having turned down numerous offers only to then reduce the price to what had been on offer after the buyers were suited elsewhere, recently, clients in good faith came out to look at her, made an offer, which was accepted, paid a deposit and were eager to go ahead. The owner pulled out, leaving them with the expense of a survey, a trip to Cyprus and no boat. Being a lower order human being, he tried to avoid paying the commission and offered to deal directly with them thereby saving himself a few quid after using our services for a number of years. Life has a strange way of sorting things out, and the karmic wheel spun to where it should be as far as he is concerned.